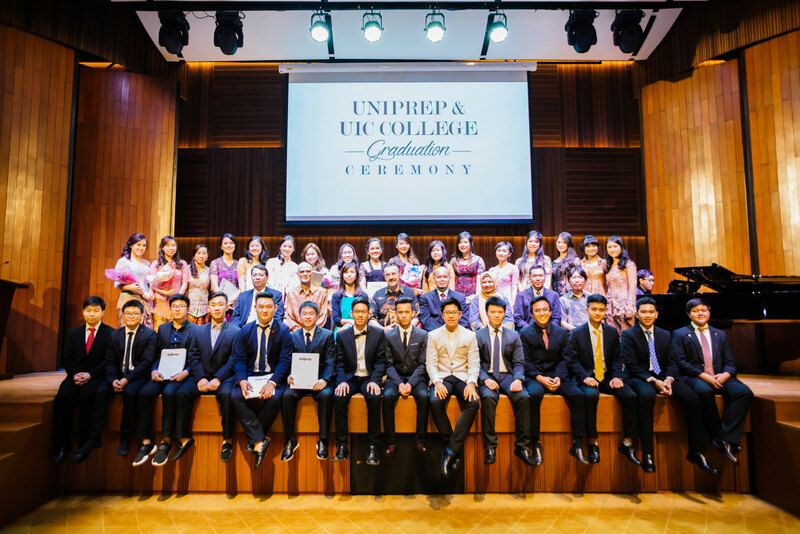 A number of distinguished speakers from the Australian Embassy, British Council, UNSW Global, Yayasan Persaudaraan Bangbayang 66 and Pearson Global delivered inspirational speeches during the Uniprep and UIC College graduation ceremony. The main focus of the event was the medals and certificates acceptance by the outstanding graduates before parents, VIP partners and representatives from a number of foreign embassies. Among the highlights were award given ceremony, with Jessica Yan Setiawan who achieved perfect score of 10/10 as the best student, performance by local band and art exhibitions by Uniprep Design Students.